Average dose: 50 - 100mg per day. 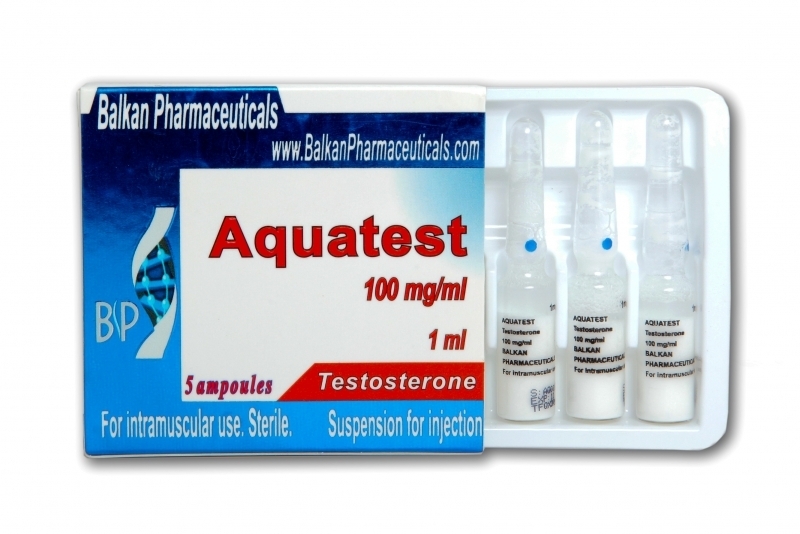 Aquatest is totally new product that is fully developed by Balkan Pharmaceuticals Company. The preparation contains the water suspension of the pure testosterone. The suspension in this case is a mean to prevent the testosterone molecule from decay. The steroid is not destroyed in the liver and this provides the negative action over it and pure testosterone hit into the bloodstream. Since the preparation’s testosterone comes to the organism in its pure state and not as an ether such as Testosterone Enathate, Testosterone Cypionate, then its action is much more powerful. 100 mg of any ether contain only 72 mg of pure testosterone. 100 mg of Aquatest preparation correspond to 100 mg of pure testosterone.